Order 2 for a bigger discount! Shoot like a professional! Now you can get professional video and picture quality from your smartphone camera! 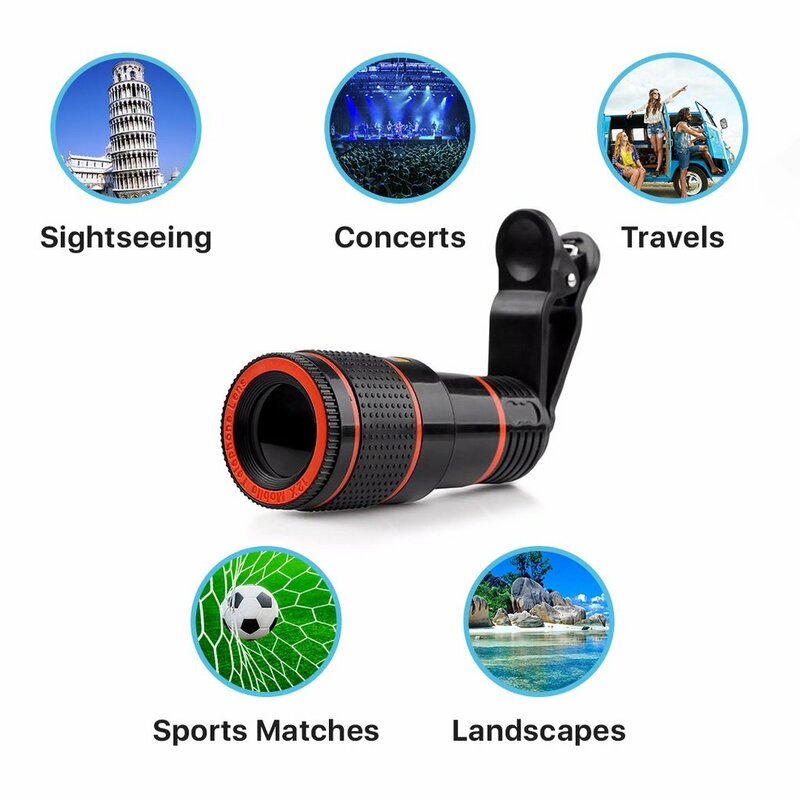 This HD Telescope Lense is adaptable for most smartphones and you can zoom in to the moon during a full moon and capture great pictures of the surface you couldn't see with the naked eye. Capture awesome video while attending live sports events, concerts, or while filming your children during a school play. OptiZoom™ is less than 3” long and weighs less than 2-ounces, so it’s extremely easy to carry around with you. And the fully universal clip technology allows you to use the lens on any smartphone, so you won’t have to buy a new one when you get a new smartphone. 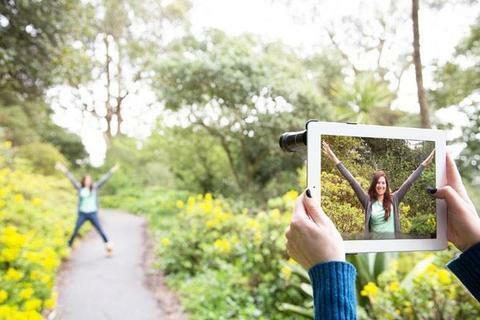 OptiZoom™ is the perfect gift for anyone who loves to take photos and videos on their smartphone. THIS PRODUCT IS NOT SOLD IN STORES SO PLEASE ORDER YOURS BEFORE IT'S ALL SOLD OUT! UPDATE: We're blowing up on social media and are officially running low on this product, please place your order ASAP! 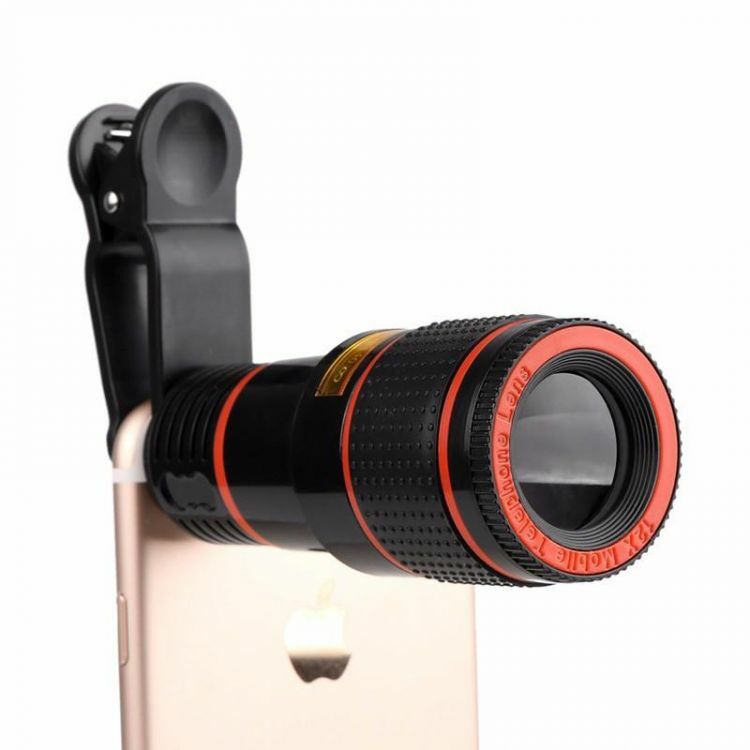 12x Zoom Optical telescope lens. Compatible with tablets and mobile phones. Lens has a manual focus functionality that provides DSLR quality photos. No battery/charging required to operate lens. Easy Installation. With the Universal clip, the lens can easily be attached for use and removed when not needed. Package Includes: 1x Telephoto Lens, 1x Holder, 1x Wipe Cloth. You like to take pictures of outdoor objects but don’t want to spend money on a big camera with a quality zoom. You want to take photos with your smartphone with the quality of a standard DSLR camera. You’re a social media aficionado who likes to post pictures of everything you do.